That is very quick, in fairness. 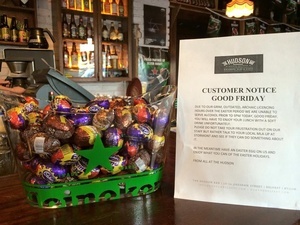 For the first time in 90 years pubs are allowed to open and serve alcohol in Ireland on Good Friday. To celebrate, we’re going to host Dublin’s first ever Good Friday pub crawl. Through the prism of the pub we’ll explore Irish culture and history. We’ll also give you a history of the Good Friday prohibition and then toast to it’s removal. On the night we’ll visit 4 pubs, each with a different story to tell. Publin crawls aren’t just about the drinking; we’ll try to show you a side of pubs that you haven’t seen or considered before. Before each location we give you a short history of the pub and a few tidbits of stories that should be news even to the most well informed pub goer. We’ll be starting the night at 6.30pm at a location that we’ll let you know the day before. You will be guided around by John and Luigsech for 4 hours of drinks, pub chats, and a real Dublin experience. 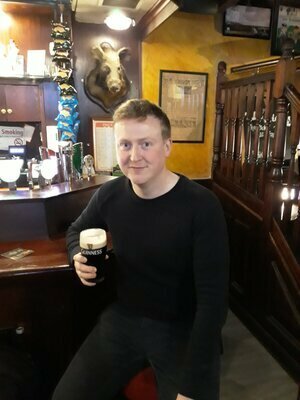 The first ever Good Friday pub crawl (Publin.ie). Posted in Misc and tagged Good Friday, Publin at 4:07 pm on January 25, 2018 by Bodger. Finally, an event in Ireland that can be celebrated by drinking alcohol. 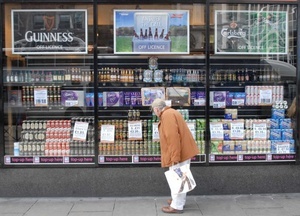 I’m happy that a business doesn’t have to close due to religious restrictions, but the thought of publicans licking their lips at getting another bumper day of sales in a year makes me sick. I hate the way we’re all forced to go out against our will, it’s so unfair. Bumper day of sales? What are you on about, it’s another Friday like the other 51 Fridays. Now you can choose to sit at home or go to the pub. Choice? In Ireland? I enjoy the mad people on this mad rock. You will take what mammy gives you and be happy. If you think The first good Friday that pubs are allowed to open in 90 years in Ireland, isn’t going to be a massive piss up of Arthur’s Day proportions, you sir/or madam, are a fool. My favourite thing about the lifting of the ban is come next year no one will give a crap.